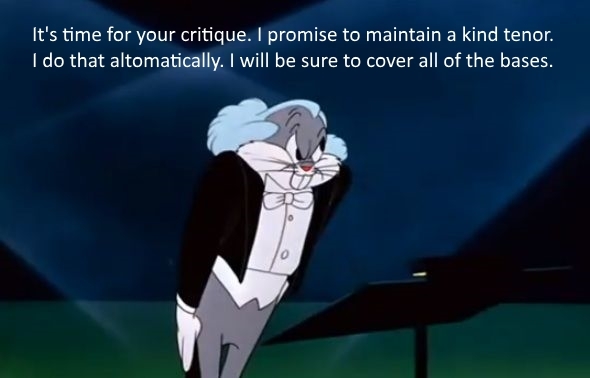 Don’t forget the critiquing guidelines. All I ask is that you post a comment about the submission below. Don’t feel like you have to critique the whole piece. Even a short comment on one aspect can be helpful.If you want to submit a manuscript for critique, please read the guidelines as well as this list of common mistakes to avoid before submitting. The street lamps lit up the naked concrete sidewalk as the large billboard screen flashed; 5:30 am. A hunched figure walked below one of the neon signs, his hood pulled low over his face and hands shoved into his pockets. Turning left, he entered a dank alley and shrugged off a small backpack. The hooded figure shuffled around in the bag, pulling out a pair of gloves which he slipped on. After several other objects were removed and stashed in his pockets, he replaced the bag on his back and proceeded to a large box attached to the brick wall. Unlocking his cell phone, the figure held it to the box and, in the dim light, opened the rusted panel and stared at the bright wires crisscrossing throughout the compartment. He reached into his back pocket, pulled out one of the items stashed there, and put it to his lips, unfolding a multi tool into a pair of pliers. Expertly, the figure wormed the pliers among the wires and snipped several cords. A shuffle echoed down the alley and the hooded figure quickly dimmed his phone light. He held his breath as a shadow passed the mouth of the alley followed by two men laughing loudly as they staggered out of sight. The figure folded the tool and slid it back into his pocket before setting the rusty panel back over the box. Moving to the mouth of the alley, he glanced at the billboard across the street. It read 5:40 am. Perfect, he thought. Folding back the hem of the glove on his right wrist, he set the timer on his watch. Thirty minutes, Adam. In and out. Same as always. Taking a deep breath, he slid out of the alley and crouched before the door of the adjoining shop. A few minutes later, the door swung inward silently as he slid a bent wire into his pocket. No turning back now, Adam thought as he slid through the door and shut it behind him. After glancing at the security cameras and seeing that the little light was dim, Adam surveyed the room in the low light. He located the glass counter and, sliding the backpack off as he approached, punched in the override key on the cash register and the till pinged open. Adam methodically pulled out the green cash stashed there and shoved it into a Ziploc bag. Let’s see if you have any Franklins sitting in here, he thought as he lifted the tray. Underneath were several rubber bands, a few rolls of quarters which went into the bag, and a small stack of $100 bills. Jackpot. Adam quickly shoved the stack into the bag before sealing it and shoving the bag to the bottom of the backpack. A low beeping came from under his glove and Adam checked the time; 6:00 am. Fifteen minutes left, he thought as he zipped the bag shut. I’ve got plenty of time. Adam replaced the bag and browsed up and down the aisles. DVDs, books, some power tools, man, this guy has everything. He took a couple comics and a pair of walkie-talkies and stashed them in the backpack. Might as well grab a few of the more valuable pieces while I’m here. Moving back to the counter, Adam tapped his fingers on the glass, studying his options. Hmm, so many choices. What to take. With a few twists of the wire, the cabinet door slid open. Moving quickly, Adam shoved the contents into his bag. There, he thought, zipping the backpack shut. He glanced at the watch and smiled, five minutes to spare. This has to be the best run I’ve ever made. Alarms blared inside the store he had just left. Crap, that fat oaf of an owner must have a backup system for when the power goes out. Better get out of here before someone shows up to see what’s going on. Pulling his hood lower, Adam walked down the alley in the opposite direction of the noise. He turned the corner and walked a few blocks in silence. Made it, he thought as his lips stretched into a smile. Shoving his hood back, Adam swiped a hand through his messy hair. Need to find a place that has showers, he thought. He pulled the stiff t-shirt away from his chest. And a Laundromat. Adam glanced over his shoulder, double checking that he was really alone. All he saw was a man bent over with age walking down the sidewalk to a large mailbox. Adam turned around and ran into a body. Catching himself on the fence he watched a young woman fall onto her side. “Sorry, didn’t mean to run into you,” he said. “Oh, sure,” Adam said as he reached down and pulled her up. Once she had gained her feet, the girl rested her hand on the peeling mailbox. “Rose, is there anything in the mail today?” a female voice called from one of the apartments. Adam shoved his hands back into his pockets and headed down the street. Alahna, interesting story so far. Can’t wait to read more. Your description created a great scene. What point of view at you going for? Adam or a narrator? If you’re telling from Adam’s, then he probably wouldn’t describe himself as the figure. Some of your sentences are too long and clogged with unnecessary detail. He pulled a multi tool from his back pocket and used his lips to unfold the pliers. “He located the glass counter and, sliding the backpack off as he approached, punched in the override key on the cash register and the till pinged open.” Do we need to know that he located the glass counter? Wouldn’t we assume that he removed his backpack once he got something out of it? So, maybe just use something like: Walking to the register, he punched the override key causing the till to ping open. Is Rose inquisitive by nature? She asked three questions to a total stranger in a matter of seconds and started a fourth before before her mom interrupted her. If so, have Adam react to her many questions instead of just answering them. All in all, a great beginning. Keep writing because you’ve got a good story going. Thanks for the suggestions!! Will get right on tweaking. This is a good beginning to a story. I really like the sense of mystery you built through only explaining what was going on in the present. This way, the reader can only guess about the character’s past. Also, I really like the description: “He pulled the stiff t-shirt away from his chest.” That whole little section about Adam noticing his dirtiness was well done. On the other hand, I did notice something that could be changed. In the first section about Adam, when you’re describing his break-in, the structure of the paragraphs/sentences seems very list-like. A bunch of the sentences have the exact same structure and there are few adjectives. My suggestion is this: Spice up your descriptions a bit. Add some fun words, mess around with your sentence structure, and see where that takes you. Don’t give up on this story! I’d love to hear more. Yeah, I was reading back through and saw repetitive sentence structures that need work. Thanks for the encouragement!! Alahna, as usual, you have a good idea for a tense, intriguing story. As Stephanie indicated, if you are attempting to write in Adam’s POV, using “the figure” doesn’t work. He wouldn’t refer to himself that way unless he was really odd. POV can be tough. Even writing “his lips stretched into a smile” is problematic, because that puts readers looking at his face. Intimate POV would be, “he stretched his lips into a smile.” He is the one doing it. It’s not noticed from the outside. I was also confused by the mailboxes. When he looked back, he saw a man going to a mailbox. Then Adam ran into a body. At first, I thought you meant a dead body. Just write that he ran into a young woman. But then suddenly she has a hand on “the peeling mailbox,” as if readers had already been introduced to this mailbox instead of the one behind Adam. You’re a good writer. Keep it up! Thank you Mr. Davis. As always, your critique and comments are really helpful. Will defiantly clean it up. My only suggestion is this. In the beginning you say he removes several objects from his backpack. It might be helpful to mention what they are, if you’re going to use them later, or at least hint what they are. Like “He pulled several tools from his bag.” Otherwise its a little confusing. Also later when he’s looking through the glass cabinet later, he takes several items and leaves. A couple details here might add to the gravity of the situation. Such as “He stole several figurines” or “He removed several pieces of diamond jewelry.” Whatever would be appropriate to the place, it just adds a sense of detail.